Advanced Total Therapy is a nationwide group of private physiotherapy clinics who champion an holistic approach. They provide services, from acupuncture to deep tissue massage, to facilitate rehabilitation programmes for private patients and are the first choice for major insurance and corporate clients. With 30 clinics currently running, Advanced Total Therapy will use the funds to take on higher value contracts and open further locations. At Advanced Total Therapy, we are experts in physiotherapy, working to make our patients' recovery and rehabilitation as efficient as possible. We are private practitioners, with a chain of 30 clinics across the UK in London, Essex, Kent, Surrey, Buckinghamshire, and Berkshire. 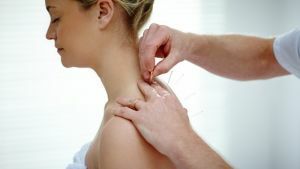 Our services are all evidence-based and holistic, including acupuncture, biomechanical assessments, joint mobilisation and thrusts, trigger point releases, deep soft tissue massage, strengthening programmes, and muscle energy techniques. We work by first identifying the root cause of the symptoms, then administering our manual therapy via individual treatment plans. Our support continues throughout the rehabilitation process, ensuring these appointments are as efficient as possible to reduce unnecessary costs and clinic time. We treat a range of clients, who are mainly referred to us by insurance companies, but we also work with key health and corporate businesses to acquire trade. This year we are ready to scale our business up by taking on higher value work. We also have plans set to grow our reach by increasing our number of clinics, so are therefore raising money in this campaign to get this process started.